If you want to make tea with teabags it’s quite simple, and Charlie already has the video to show you how. 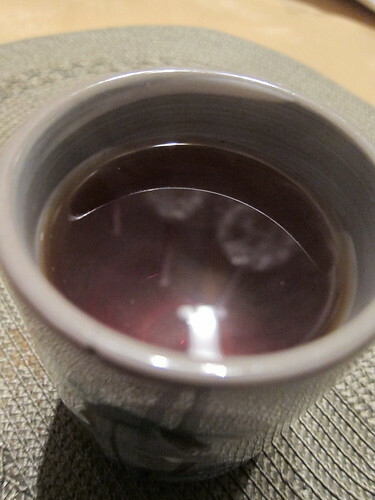 This entry is to show you how to make tea using loose tea leaves – without leaving a mess. First you need to boil some water. 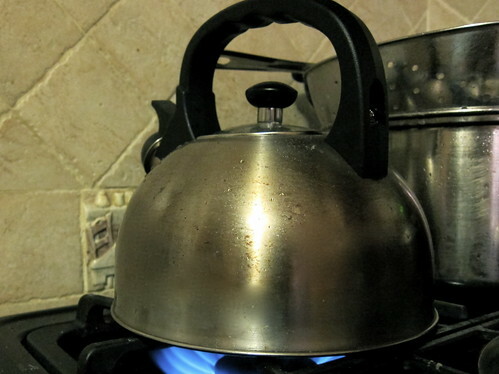 Using a kettle is quite efficient for this. 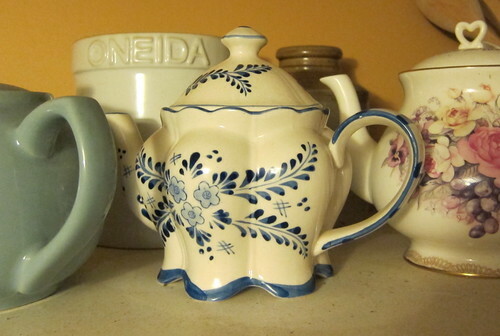 Next, search the shelf-tops for your mother’s teapots and choose one that you like. Rinse it out. 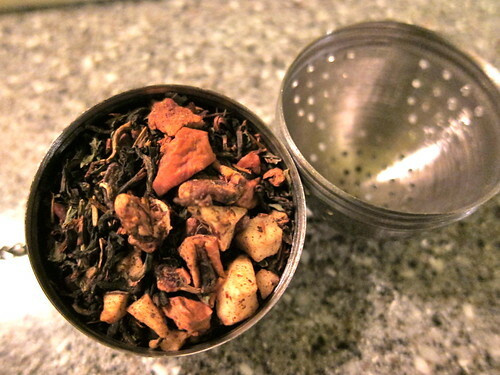 Next you want to take your tea leaves and measure the amount you want (I usually use about one tablespoon because I like the flavour to be strong). 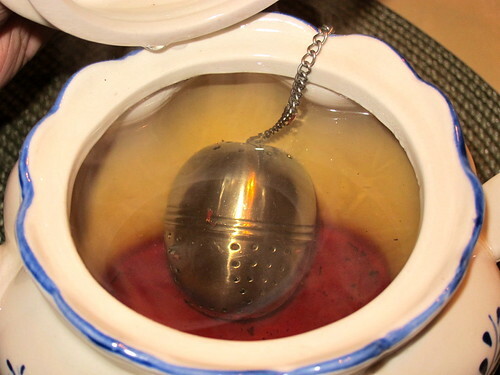 You can pour this directly into the tea pot, or into a convenient little tea ball strainer. Pour in the hot water, close and let it sit for about five minutes. 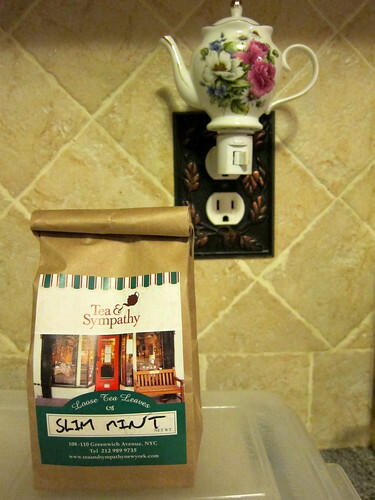 Pour into cup of your choice, even though your mother reminded you that she has matching tea cups and if you’ll be posting pictures on the internet, you should use those matching tea cups.